Before nursing home abuse can be stopped, it must be recognized by the families who entrusted the care of a loved one to a nursing home. 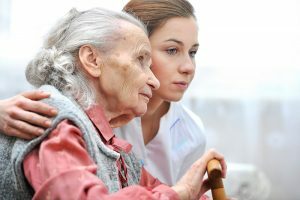 Our lawyers are committed to helping families of nursing home abuse victims identify and end the harm caused by nursing homes. Speak with a lawyer about your options as soon as possible if you suspect negligence or abuse is endangering your loved one. E-mail or call us to schedule a free and confidential consultation.